ISLAMABAD: Delegates of a trilateral dialogue including Pakistan, China and Afghanistan on Tuesday were unanimous in working together to form a broader economic corridor involving Pakistan, China, Afghanistan and Iran. Speaking at the inaugural session of trilateral track-II dialogue titled “Constructive Engagement for Sustainable Growth”, National Security Advisor Lt Gen (r) Nasser Janjua called for developing a broader economic corridor involving Pakistan, China, Afghanistan and Iran as the four countries were not only geographically placed at the heart of the world map but also provided an opportunity to connect the global community. Chinese Ambassador Yao Jing, Afghan Ambassador Omar Zakhilwal and delegates from the three countries attended the dialogue hosted jointly by the Chinese embassy and Regional Peace Institute (RPI). Nasser Janjua said that Afghanistan had become a ‘wound of the world’ following the ongoing war encompassing four decades, which needed a healing now. He added that Pakistan and Afghanistan needed to move forward and migrate from mistrust towards prosperity. “It is about time that Pakistan and Afghanistan separate politics from the economy. As they say, prosperity is another name of security, we need to foster economic collaboration. We need to implement the seven-point agreement recently agreed upon between Islamabad and Kabul,” he said. He said that Asia formed 60 per cent of the world population followed by Africa with 16 per cent. “The world is in Asia today. We have world’s most precious resource – the humans, we have got richest material resources of the world and we have the biggest consumer market. What else do we need? 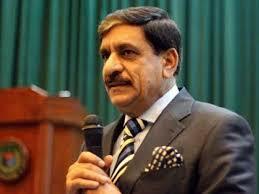 We just need to link the dots and start cooperating with each other for a shared future,” Janjua said. He went on to say that it was unfortunate to note that the world over the past four decades had invested in a war which had equally affected Pakistan, Afghanistan and the rest of the regional players. “Europe and Asia are already connected and jointly they form Eurasia. We just need to connect China with rest of the world through Pakistan, Afghanistan and Iran. This is where Belt & Road Initiative (BRI) comes into play. The Muslim countries are the best part of the world which is energy rich. Connecting the Muslim world with rest of the global players would take the tally of people to 86 per cent,” he added. Chinese Ambassador Yao Jing said that China believed in developing regional approaches for regional solutions and Beijing had been engaging Islamabad and Kabul for removing mistrust and collaborating for a win-win cooperation leading towards regional peace and prosperity. “Pakistan and Afghanistan are key partners in China’s Belt & Road Initiative. China has been focusing on community development in both the countries as community development is our global focus,” he said. Yao Jing said that it was President Xi Jinping’s vision that China’s western parts can’t develop without the development of China’s neighbouring partners. He added that China had been working closely with Pakistan and Afghanistan for trust building and boosting economic relations. He said that for the purpose, China has initiated Trilateral Dialogue for Economic Integration, Foreign Minister’s Dialogue, and Dialogue on Strategic and Counterterrorism Issues. “China would facilitate both our neighbours for engagement in economic stability and peace and security. We hope the confidence building will help improve future relations,” he said and added that China is all set to host both the countries for upcoming trilateral dialogue next month in Beijing. Jing also said that a joint plan is to be developed for better development of the whole of the region. Afghan Ambassador Omar Zakhilwal said that Pakistan and Afghanistan needed to separate politics from the economy, and boosting of trade and economic activity may lead towards removing mistrust and building new bridges between both the neighbours. He added that Pakistan was paying price for regional instability and a stable Afghanistan could further the economic strength of Islamabad. “Our policy towards each other is security-centric. This needs to be shifted to the economic-centric relationship. The approach of the countries towards regional connectivity is flawed too. Today, connectivity is multilateral while economic stability is bilateral. It would be more effective if we reserve the two,” he said. 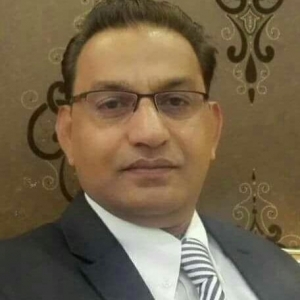 “Connectivity and economic stability should be bilateral,” Zakhilwal added. He was of the view that Pakistan’s economic development was directly beneficial for Afghanistan. He added that the mistrust between the neighbours was deep but it needed to be bridged. Lauding the services of Nasser Janjua, the Afghan Ambassador said that they both were working behind the scenes to improve bilateral ties and these efforts had led to successive successful visits of Prime Minister Shahid Khaqan Abbasi and Army Chief General Qamar Javed Bajwa to Afghanistan. Calling for more military-to-military engagements between Pakistan and Afghanistan, Zakhilwal said that the situation was improving across the region and trust was building between the two estranged neighbours.